Charles (Charlie) Summerlin is a final-year student pharmacist at the University of Maryland School of Pharmacy. Originally from North Carolina, he received his Bachelor of Science Degree in Psychology from the University of North Carolina at Chapel Hill. 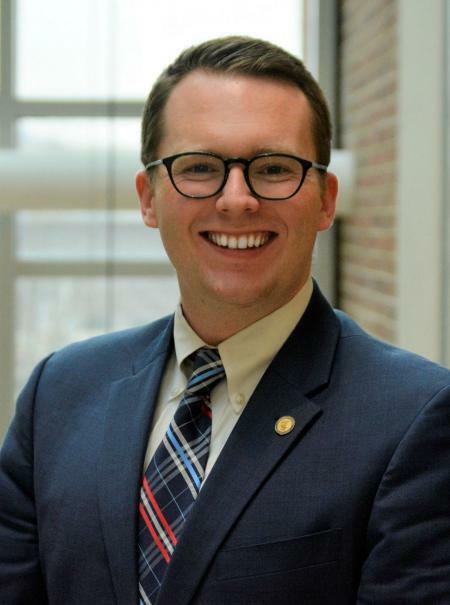 During his time as a student pharmacist, Charlie has been actively involved in the American Pharmacists Association Academy of Student Pharmacists (APhA-ASP) locally, regionally, and nationally. On the local level, Charlie served as Interim Membership Vice President, Patient Care Vice President Assistant, and Patient Care Vice President. On the regional level, he served as Region 2 Member-at-large. Charlie currently serves on the National Standing Committee on Member Engagement. Charlie has also been actively involved with other professional organizations, including the Kappa Psi Pharmaceutical Fraternity, Phi Lambda Sigma, the Student Section of the Maryland Public Health Association, Maryland Pharmacists Association, and the University of Maryland School of Pharmacy Student Government Association. In addition to professional organization involvement, Charlie has over 10 years of work experience in community and health-system pharmacy practice. Upon graduation, Charlie hopes to combine his passion for patient care and leadership by pursuing a combined PGY1/PGY2/MS health-system pharmacy administration residency program. Charlie would like to thank and recognize his supportive family, friends, and mentors for their endless support and dedication to his personal and professional development.